I offer one stop website design. Below are the services I offer with State-Of-The-Art quality. Find and register the right Domain Name for your business. State-of-the-Art Web Hosting with 99.9% Up Time! WordPress, Joomla!, Mobile Sites, goMobi and eCommerce. 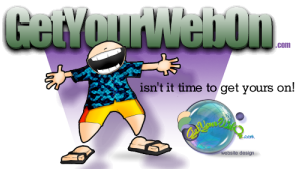 Now that you have a website, you need to be found. Facebook, Twitter, Instagram, Pinterest, set-up and more! Back-up, Restoration, Troubleshooting, Updates and Edits. You and I will discuss your needs and goals. Learn about your target audience and competitors. I take the information and create a beautiful, user friendly website. Once complete, together we will fine tune the site and adjust as needed.